Promising super lightweight prospect Nicholas Briggs will make his long-awaited professional boxing debut Friday night at Twin River Casino Hotel at the age of 19. That’s not the unusual part. What sets Briggs apart from others is the road he took to get here, an unconventional path littered with poor choices, broken promises and a remarkable turnaround to keep him on the right track toward beginning the next great fighter to emerge from the famed city of Worcester. Briggs faces fellow newcomer Jacob Wright of Decatur, Ala., on Sept. 14th, 2018, a little more than a year since the end of his second stint behind bars stemming from gun and drug charges in 2017. As a teenager, Briggs wandered from the confines of the boxing gym and ran into trouble with the law — trouble he blames only on himself — before realizing he was dangerously close to wasting his God-given talent as a fighter. That same weekend he returned home, Briggs was back in the gym, slowly working his way back into shape, and now he’s less than a week away from completing the ultimate comeback. His inner circle is much smaller these days, but Briggs is happy, healthy and content with a new lease on life. At 19, he has his whole career ahead of him despite the fact he hasn’t actually fought since 2014. With a new trainer and the region’s No. 1 promoter in his corner, sky’s the limit for one of Worcester’s most decorated amateurs. 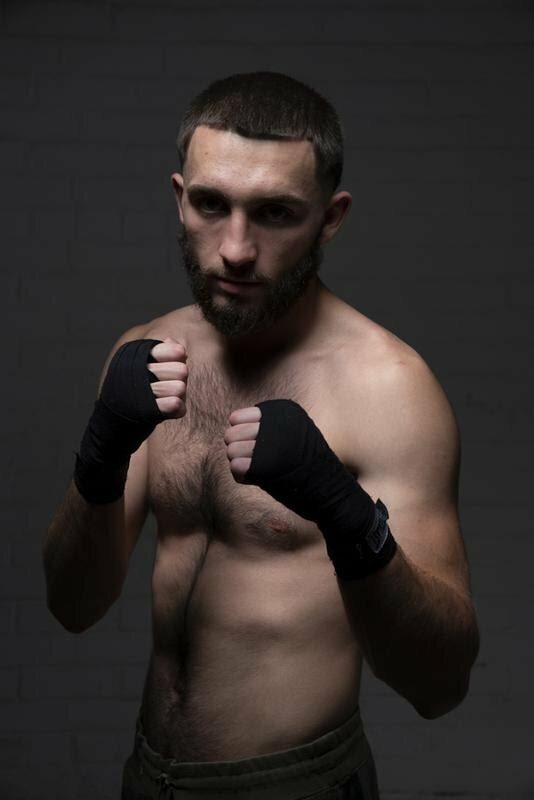 Briggs’ four-round super lightweight bout against Wright is one of nine on a stacked fight card promoted by CES Boxing, which signed Briggs to a multi-year promotional agreement earlier this summer. Backed by his late father, Briggs began boxing at the age of 7 and rose through the amateur ranks under the guidance of legendary Worcester trainer Carlos Garcia, working side-by-side with fellow CES Boxing stablemate Jamaine Ortiz. He won a Ringside Tournament in 2011 and advanced to the finals of the Junior Olympics Regionals three years in a row from 2012 to 2014. Home life, he says, was “great.” He grew up with both parents and five siblings (two older sisters, an older brother and a younger brother), but things changed when his father passed away in 2012, just two months before the first of his three consecutive appearances in the Junior Olympics. “He was like the foundation of the family and he always made sure me and my brother were in school, he always made sure me and my brother were in the gym until nighttime. Every single day, sometimes training twice a day,” Briggs recalled. “We had a gym in our garage. Only 13 at the time, Briggs got caught up in an entirely different lifestyle outside of the gym, lured by those he now knows never truly had his best interests in mind. Still, he kept winning in the ring, racking up amateur accolades and advancing to the Junior Olympic finals again in 2013 and 2014. The third loss hit him particularly hard. He felt he had won the fight. That, he says, is when things unraveled. Several months later, at 15 years old, he got caught up in an armed robbery and spent nearly two years locked up. He even remembers the exact dates. “July 4, 2014 until Feb. 17, 2016,” Briggs said. Upon returning home the first time, Briggs tried to clean up his act, but again wound up in trouble, this time arrested on gun, drug and assault charged after pulling a firearm on a man at a gas station in Worcester. The second stint cost Briggs another six months behind bars, which is when he finally realized he needed to wake up or wind up like everyone else in his predicament. After returning home late last year, Briggs reunited with trainer Jose Santos of 401 Boxing, who had actually worked his corner at the 2014 Junior Olympics. The two had a great rapport and Briggs trusted Santos’ wisdom. Shortly thereafter, Santos brought Briggs to CES Boxing president Jimmy Burchfield Sr., who became enamored with Briggs’ potential. Briggs has grown tremendously in just under a year. He now lives in Rhode Island and trains full-time with Santos. He’s also learned to accept his past for what it is. He doesn’t point the finger at anyone else but himself for the choices he made, but realizes everything that happened is what makes him the man he is today. These days, Briggs keeps to himself. The circle is much smaller than it used to be. You won’t find him out on the town late at night or surrounding himself with large groups of people. If you’re looking for him, check the gym. It’s practically become his permanent residence as he prepares for Friday’s debut. He hasn’t missed a day yet. Win or lose, Briggs has already accomplished so much just by turning his life around and leaving behind the empty promises of street life that seem to lure so many teenagers down the wrong path. He understands many want him to succeed, but some may want to see him fail. He can’t control that. All he can control is what he does when that bill rings Friday night. “There are a lot of up-and-coming fighters from Worcester. It’s hard to support when a lot of people don’t want to see you do well,” he said. “A lot of the people who come from the same place you did are just stuck and they don’t want to support because they see that they’re still stuck in that place. Even though he’s still only 19, there’s an unspoken pressure on Briggs to prove all that amateur success was simply the foreword to what may become one of boxing’s greatest success stories. Not everyone makes it, but don’t bet against Briggs. Even fewer have made it this far. Previous boxing news: Should Amir Khan Retire?